Guys, you may have noticed I don't exactly read a lot of faery books. There's one really good reason for it: I'm not such a fan of this specific type of paranormal. But in The Treachery of Beautiful Things I have found a faery book to LOVE! HOORAY! The tree-swallowing-boy thing made me decide to give this one a shot, because I can't imagine anything more sinisterly awesome than that. I loved that the fae world wasn't depicted as just pretty or cruel, but an intriguing mix that was more than a little dangerous. The creatures hold on to their 'GRRR' as I like to call it and nothing is as it seems. Jenny was an amazing main character. I immediately connected to her and was rooting for her! She's not without flaws, but she's my kind of girl with the right amount of bravery and sense and a selflessness I wish I posessed. Maybe I connected this strongly because if my older brother had been taken by a tree and I had the chance to get him back, there is nothing that would stop me. And Jack, *sigh*, Jack with his heterochromatic eyes stole my heart. Such a beautiful tortured soul. 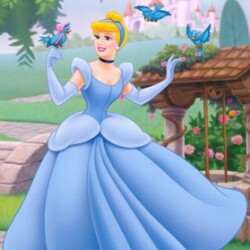 He is a true fairytale hero, maybe not the flawless princes of Disney movies, but a hero nonetheless. I won't pretend that I understand all the complicaties relationships and rules of the fae world, but I really enjoyed the glimpse I got of it in The Treachery of Beautiful Things. Which I might add is an insanely appropriate title! I loved that there was an appearance off Robin Goodfellow AKA Puck, who was my favourite character after Jenny and Jack. 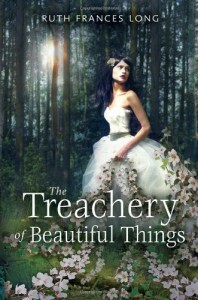 And let me tell you, there is nothing treacherous about the beautiful cover. It does the book justice and I will carry Jenny and Jack with me in my heart. The ending left me clutching my ereader with a smile and for me that's one of the best ways to feel after finishing a book. Highly recommended!